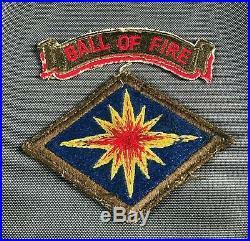 Offered for sale is an original Korean War US Army Japanese made 40th Infantry Division SSI patch with "Ball Of Fire" scroll. They are the original pairing and are in salty, removed condition. 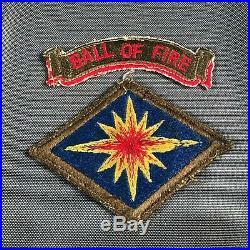 The item "Korean War US Army 40th Infantry Division SSI Patch with Ball Of Fire Scroll 749V" is in sale since Thursday, February 28, 2019. This item is in the category "Collectibles\Militaria\Korea (1950-53)\Original Period Items". 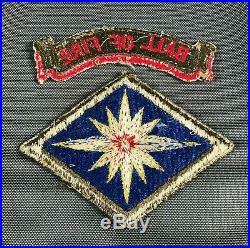 The seller is "liberty_militaria" and is located in Hartfield, Virginia. This item can be shipped to United States.